Yekaterinburg, Russia's fourth-largest city, elected outspoken opposition politician Yevgeny Roizman as its mayor on Sunday, in a move that dealt a blow to pro-Kremlin forces but gave little actual power to the winner, pundits said. 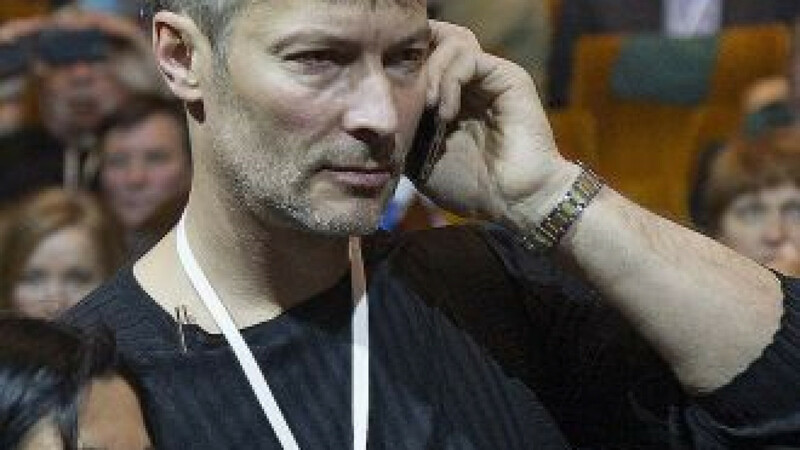 Roizman's success likely stems from voters' disappointment with regional authorities and Roizman's reputation as a vigilante waging a war against the illegal drug trade and drug abuse since 1999, analysts told The Moscow Times. “[Roizman's] personal popularity was one of the main factors of his success,” said Rostislav Turovsky, deputy head of the Center for Political Technologies. “He has charisma, his own loyal voters and his team, and he managed to mobilize his supporters quickly,” Turovsky said by telephone. The outcome of the votes calculated on Monday showed that Roizman, a close ally of billionaire politician Mikhail Prokhorov and head of the Yekaterinburg-based City Without Drugs foundation, beat his main rival, deputy regional governor Yakov Silin, by 3.6 percent of the vote, Interfax reported, citing local elections officials. Roizman, who rode on the ticket of Prokhorov's Civil Platform party, led with 30.11 percent of the vote, followed by United Russia's Silin with 26.48 percent. Roizman's victory was announced amid reports of vote rigging, some in favor of the winner. The city elections commission received complaints Monday about voters being bribed, given presents or pressured into voting for Roizman, Ilya Zakharov, head of the Yekaterinburg City Elections Commission said at a news conference, Interfax reported. At a separate news conference Monday, Roizman denied any involvement of his supporters in suspected vote fraud, Interfax reported. According to Zakharov, even if some votes were canceled on account of ballot fraud, it would not overturn Roizman's lead over his competitors. Roizman's advance over Silin accounted for about 14,000 votes, Zakharov said, and “couldn't be beaten” even if part of the votes were rendered null and void due to violations. Analysts say it is precisely that huge lead that represented a serious blow to the ruling party. “[Roizman's results] are a painful defeat for United Russia with regards to the voters' support, but there are not so many members of the regional elite who lost [from Roizman's victory],” Turovsky said. The city administration, in turn, may be “comfortable” with Roizman's election, while the City Duma may “retain its status quo,” Turovsky said. But despite Roizman's inspiring victory, Turovsky said, he would be a “nominal head” of the city because the city manager — who is expected to be picked by the newly elected City Duma — would control the city budget. Roizman will need to cooperate with the City Duma, which is dominated by United Russia, and with the pro-Kremlin city administration, pundits said. United Russia, which Sunday won 21 of the 26 seats in the City Duma, hopes to "work in a constructive way" with Roizman, Sergei Neverov, secretary of the party's general council and State Duma Deputy speaker told a news conference in Moscow on Monday, Interfax reported. Roizman, for his part, promised to "work with anyone," he told a news conference Monday, Interfax reported. Alexei Titkov, an analyst with the Higher School of Economics, said Roizman may have an actual impact on the appointment of a city manager because of his “powerful” position as mayor. “The most probable task before Roizman is finding a city manager who would be able to cope with administrative duties but have no political ambitions,” Titkov said by telephone. Roizman may use his mayoral position to jump-start his campaign to run for the regional governor in 2017, Titkov said. Roizman is set to start work in October, and his primary tasks will include drafting the City Duma's agenda, particularly considering and approving the city budget before the year's end. Next on the agenda, Roizman said he would propose legal amendments to replace the positions of mayor and city manager with one position of mayor in time for the 2018 mayoral elections.